Time flies so fast. 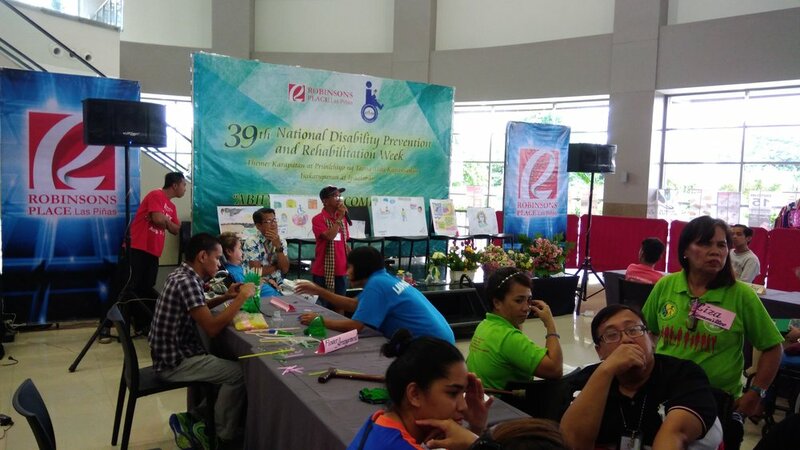 The last time my city, Las Pinas, located south of Manila in the Philippines, hosted the National Disability Prenvention and Rehabilitation (NDPR) week was almost seven years ago. I got a chance to see it being hosted in my city again this year in the third week of July. The NDPR week is funded by the national and local governments and organized by a rotating government agency with the support of local disability federations. I remember helping the formation and legalization of the Las Pinas federation and requesting to be the one to do the city dialogue with the Local Chief Executive to organize the first NDPR week. I sat in a chair in front of the Mayor's door, and I remember telling the secretary that I wont leave until I talk to him. I explained, to the officials of my city, the need to implement the UN Convention on Rights of Persons with Disabilities (UN CRPD) and the applicable local laws. The rest, as they say, is history. My disability federation currently serves 21 districts, and is the first federation to produce a data base of all its members in the city in the country. NDPR week started this year on July 15, 6am, in a local multi purpose area in my district. Unlike last time, this time I brought my husband, who serves as my guide, and my 4-year-old daughter with me. The activity for the day was a Sports Fest for children with disabilities. There were allotted spaces for wheelchair racing, blind and deaf tandem running, and some disc thowing games. The program was facilitated by the district officials and the President of the Disability Federation. I remember my daughter asking why the kids were sitting on chairs with wheels. I know that it will take a while for her to understand the disability community but I want to make sure to expose her to the community through events such as these where persons with disabilities were enjoying their time and had smiles on their faces. She even asked me if I could participate in the race as a blind person with a sighted partner. At a young age, she knew that her mom could not see, and understood that I needed reasonable accommodation, if I chose to run as well. It was very comforting to know that she sees these connections. On July 18, Robinson's Place, a mall nearby, held an Art Competition that was judged by an officer from the Department of Education. There was representation from all the Federation districts and participants could choose to participate in a number of competitions: the drawing and coloring competition where participants were asked to symbolize their disability; the flower arrangement competition; and a competition to propose ideas for recycling which is a part of the city's mission of cleanliness. Finally, there was a photo exhibition of pictures of the event. My husband, an architect like me, described the contestant' creations. He mentioned that the participants were mostly adults with autism and developmental disabilities and that their works were mostly abstract. I could imagine that their creation would need deeper analysis than a usual work of art. Before the announcement of the winners, each of the participants were given a couple of minutes to explain their work. Most of them saw their work as a symbol of the importance of the disability federation, that it is a working and functioning group. One even said that the federation is something that they can say they own. They might have no jobs and not many friends who understand them, but they have this federation. The disability federation might have humble goals, but I know that it is enough to be respected by the rest of the community. These activities will have to be conducted every year, until we really do see some change. Louie Zepeda-Teng is a Program Associate at the Institute of Disability and Public Policy and is based in the Philippines. The opinions expressed on this blog by authors and those commenting are theirs alone, and do not necessarily reflect the opinions of IDPP, our sponsors or staff. IDPP is not responsible for the accuracy of any of the information provided by the bloggers. Any reproduction of this article must be credited to author and linked to the original.